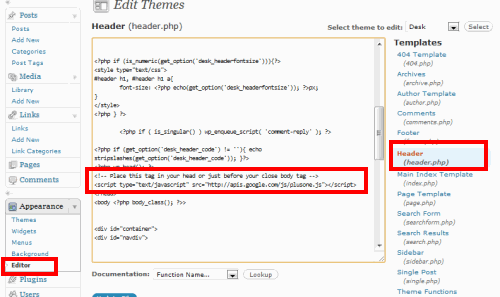 Select header.php from the right hand list of files. 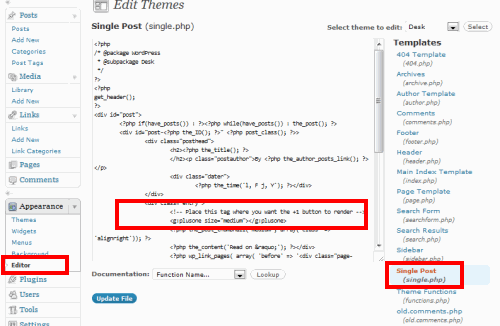 You’re already within the editor, so simply choose the single.php file from the menu. This change ensures that the +1 button appears in every post. This is basically just a repeat of step 3. 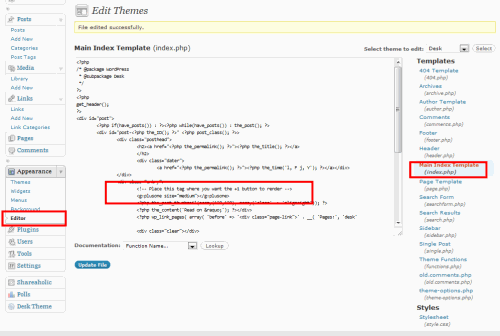 Choose index.php from the right hand menu, and find the <div class=”entry”> code in the page. This change ensures that the +1 button appears in every post that gets listed on your home page. 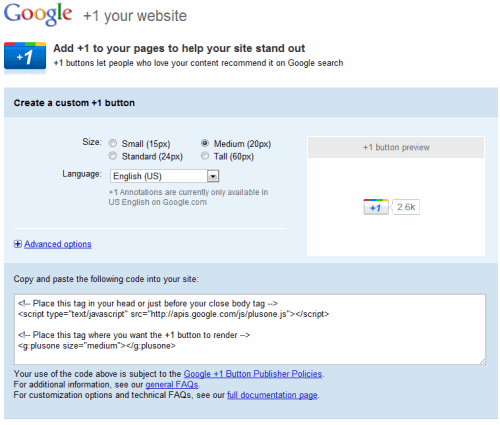 Paste the second Google +1 code into the HTML as in step 3. There are probably already numerous plug ins that will carry out all of the steps above, and if you changed theme after installing your Google +1 button into WordPress using this method, you’d need to do it all again.